How do I join a choir? Auditions for Chamber Singers and University Singers are held during the first two days of the fall semester in Foster 104. Visit the AUDITIONS page for more information about the audition process. Participation in Concert Choir does not require an audition. Simply register for the course and we'll see you at the first rehearsal. Visit the ENSEMBLES page for more information about the different choirs, including course numbers and rehearsal schedules. A prepared piece is not necessary. You will be asked to sing "My Country 'Tis of Thee," will be vocalized to determine your range, and will be asked to demonstrate sight-reading, interval, and tonal memory skills. The audition lasts approximately 10 minutes. Do I have to be a music major to be in choir? Absolutely not! 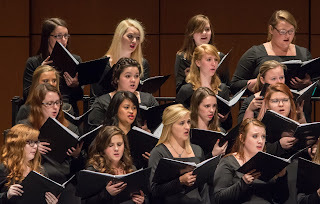 A variety of academic majors from across campus are represented in our choirs. Do I get class credit for singing in a choir? Yes. Each ensemble is worth 1 credit hour per semester and may be repeated. Do I have to buy a choir uniform? Yes. All men must purchase a basic black tuxedo (approximately $120); all women must purchase the specified choir dress (approximately $70). In addition, all members of University Singers are required to purchase an EKU Choirs polo shirt ($15); all members of Concert Choir are required to purchase an EKU Choirs t-shirt ($10). Optional hoodies are also available for $25. Orders are taken at the beginning of each semester. No. Music is provided and must be returned in good condition at the end of the semester. 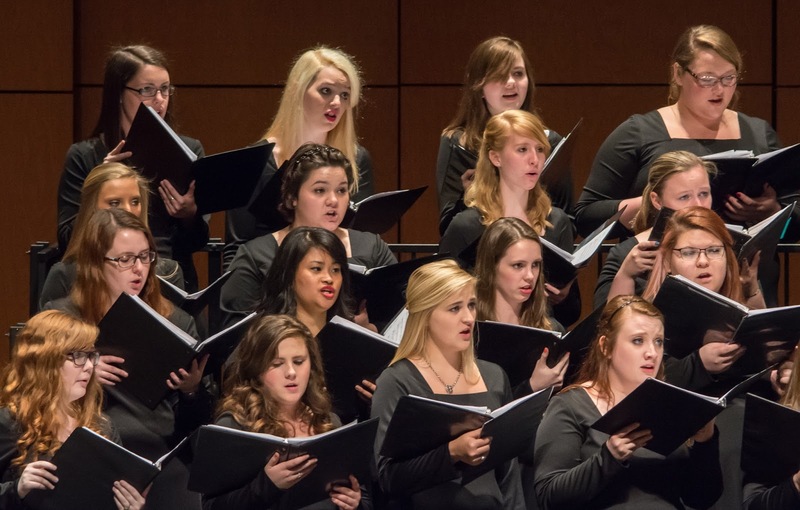 The choirs typically present two major concerts each semester. In addition, all of the choirs participate in the annual EKU Choral Day, sing the national anthem at a football game, and are sometimes requested to perform at other campus events. A major national or international tour is scheduled every other year.